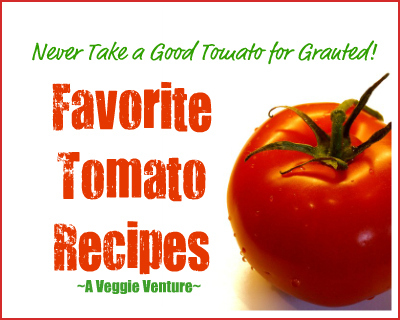 Twelve Favorite Tomato Recipes ♥ Never Take a Good Tomato for Granted! My twelve favorite tomato recipes, a perfect dozen selected especially for the last few weeks of the very best summer tomatoes. Never take a good tomato for granted. That's the lesson folks Out East learned in 2009 when the late tomato blight struck tomatoes across the eastern half of the U.S., dooming the entire crop. I felt their pain, remembering the year when four days of a late-spring hard freeze nipped the blossoms on peach and apple trees. That year? No peaches, no apples, for Missouri and Illinois. But no tomatoes? Un.Thinkable. I vowed to never take good tomatoes for granted. So for a couple of months, it’s red heaven on a plate, tomatoes morning, noon and night. Sliced and salted. Sliced and sugared. Sliced and slivered with basil and slippery with mozzarella. Then grilled, broiled, roasted, sandwiched and then finally, souped. One night I even drizzled a little tomato syrup over ice cream! Don't let the tomato season pass without reveling in the glory that is the summer tomato! Looking for all the tomato recipes, not just my favorite twelve? Here are all the tomato recipes! Or how about fourteen Pretty Ways to Serve Summer's Best Tomatoes?! What's your favorite way to eat perfect summer tomatoes? Leave a comment, I'd love another dozen great tomato recipes! Too hot to think? Mix up a big batch of Tomato Gazpacho and feast for days. This classic Spanish recipe is all about the vegetables, not the least bit spicy although naturally, it's easy to spice up if that's your tomato pleasure. Putting a little 'burn' on salt-embedded tomatoes brings out new depth. The recipe for Fire-Charred Tomatoes is a favorite from 2009, from 2009's favorite cookbook, Seven Fires by Francis Mallman and Peter Kaminsky. So many great tomato recipes come from the Mediterranean! This recipe is for the Sicilian dish called Caponata, a mixture of tomato and eggplant, cooked til just soft and deepened with red wine vinegar. Serve Caponata as a side dish or an appetizer. Or eat it by the spoonful, straight from the bowl! Weight Watchers, zero points for 1/4 cup of Caponata! This is a recipe from Missouri from the 1940s, a 'no fuss' tomato salad recipe that frankly, is quick and easy and so tasty you just might make a fuss over it. Be sure to try the Old-Fashioned Cucumber & Tomato Salad. I remade this 2005 recipe last week and on my, it's good! It's a stovetop jam, so no canning required, and sweet, yes, but apply just a smidge on a cracker with cream cheese, spread thin on a sandwich, ooo la la! A reader made it last week and reported, "Wow! I made this jam yesterday and it was fantastic!". Tomato Ginger Jam is extra convenient to make if you can find a jar of minced ginger, perhaps at an Asian market if you happen to have one close by. If you love ratatouille (and no, I don't mean the movie! ), then you'll love this version which is stacked for gorgeous presentation, versus all chopped up for rustic fare. Stacked Ratatouille is a great side dish, one that's easy for a crowd (as shown in the photograph) or to make for one or two or three. Speaking of rat-a-TOO-ee, Ratatouille was the very first recipe published in Kitchen Parade, way back in 2002. It's still on my to-make list this year, this weekend, I think. Can't let the tomato season pass by without a good batch of ratatouille! The first time I made Panzanella, the Italian tomato and bread salad, I called it 'My First Panzanella' because it took just one bite to know that this was a salad I would make again and again. And so I do! The first year I made Slow-Roasted Tomatoes, I roasted one batch after another (fifteen batches in total!) perfecting the mix of time and temperature, fresh versus dried herbs, the right amount of oil. The trick is 'low and slow' -- and by slow I mean a long, long time in the oven. What a revelation is this mixture of barely marinated tomato and barely cooked corn! I've come to think of Fresh Corn & Tomato Salad as 'Summer in a Bowl'! This is not your daddy's (or my dad's either) can of Campbell's, for sure. Instead it is is Summer's Tomato Soup, a milky broth dotted with gently cooked fresh tomatoes and fresh herbs. Gorgeous! Close your eyes and imagine with me. Think of the best BLT sandwich. Now remove the bread and substitute tiny bites of pasta. That, my friends, is BLT Pasta Salad. it was hard to pick just a dozen favorites. Pille ~ Thanks! The thing about all these recipes is that they aren't really 'recipes', more like 'starting points'. Besides, with tomatoes so good, how can one go wrong? Great list of recipes. I do love tomatoes. Alanna, I thoroughly enjoy your recipes and look forward to the notification in my email. Thanks! I so love tomato season, don't you? We've been enjoying gazpacho all week for lunches. I've been oven-drying tomatoes for winter every time I have enough to fill a pan, which is practically daily. And I'm looking forward to a huge batch of ratatouille, probably next weekend. And now . . .a few new additions to my list! Thanks, Alanna - I, too, look forward to the emails when you post! 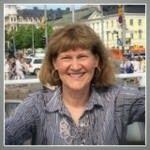 I jut happened upon your website and it looks like you have some great recipes! I love a good tomato simply cut up with a little salt and pepper. Or toasted with some goat cheese on a baguette. My favorite recipe recently is a Classic French Tomato Tart that David Lebovitz recently posted on his blog. I was lucky enough to use our garden cherry tomatoes in it and the flavor was incredible. I will definitely be trying some of your recipes too soon. Tomato galore there! I love them in rice. In India we make tomato rice. What a lovely collection of recipes. The ratatouille looks marvelous. And it reminded me to make panzanella ...I just happen to have all the ingredients on hand. Thank you! These all sound delicious! I think my favorite ways to eat tomatoes are either cut up with salt and pepper and maybe some vinaigrette or a simple tomato sandwich or a BLT (or a BLAT with avocado). Thanks for these! I have a huge amount of tomatoes in my kitchen and tired of making spaghetti sauce. I am going to slow roast some of those babies!